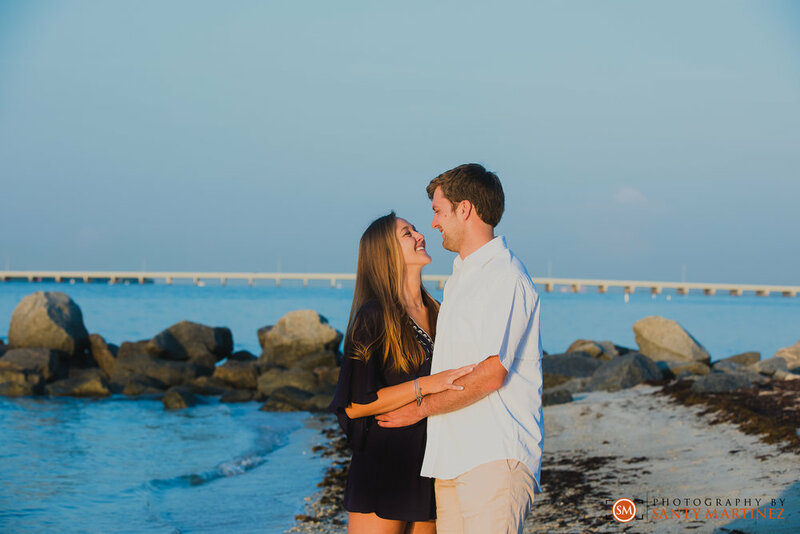 Time and time again, we preach that engagement sessions are a great way for couples to get comfortable in front of the camera and for us, as wedding photographers, to get to know the couples a little bit before their wedding. This case is a little different, you see, I have known this bride her whole life! Samantha is my niece, my eldest sister’s first born, and one of my best friends for the past 25 years. She is so special to me and when I learned that she found that special someone to spend the rest of her life with, I was beyond thrilled. Patrick in his own right is a caring, handsome, and brilliant guy. Santy and I first got to meet him on a trip we all took to Savannah, GA and I was instantly sold that he and Samantha were made for each other. Samantha and Patrick currently live in Atlanta – the same city where they first met. They are both big outdoorsy people so it was fitting to learn that Patrick proposed to her during a camping trip to Panther Creek which is in north Georgia. Once she said yes we all knew it was going to be an exciting year of wedding prep and events – starting with an engagement party! Their engagement party was held last month here in Miami where both sides of the family got to celebrate the newly engaged couple. It was also the perfect time to take advantage and capture some engagement photos in Samantha’s hometown. Santy was not going to pass up the opportunity! Here in South Florida, there are so many amazing spots to take photos. Although Samantha and Patrick live in a cool city now, there is one thing that Atlanta is missing – the beach! Knowing that Samantha grew up by the coast (she is practically a mermaid), it was meaningful for her to do photos by the shore. 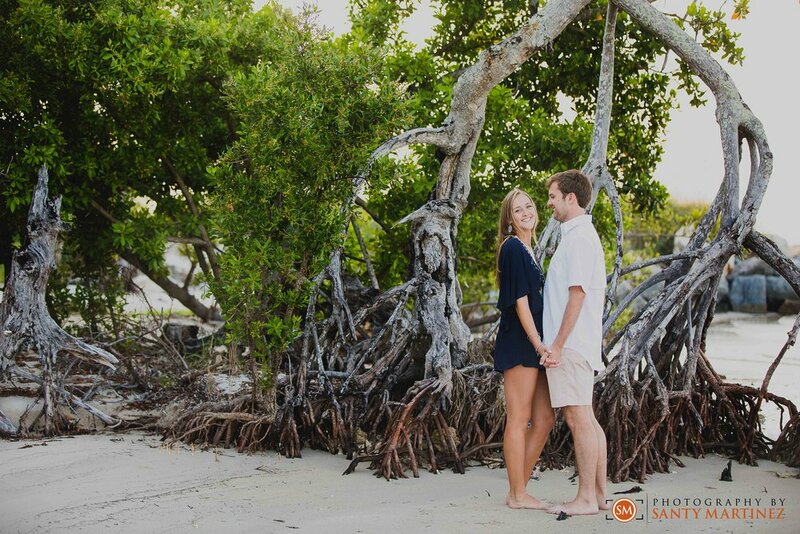 We love the beaches in Key Biscayne for engagement sessions as it is often secluded and also offers different textures in the landscape with its rocks, mangroves, and of course the rolling waves. We had a lot of fun during their early morning shoot! 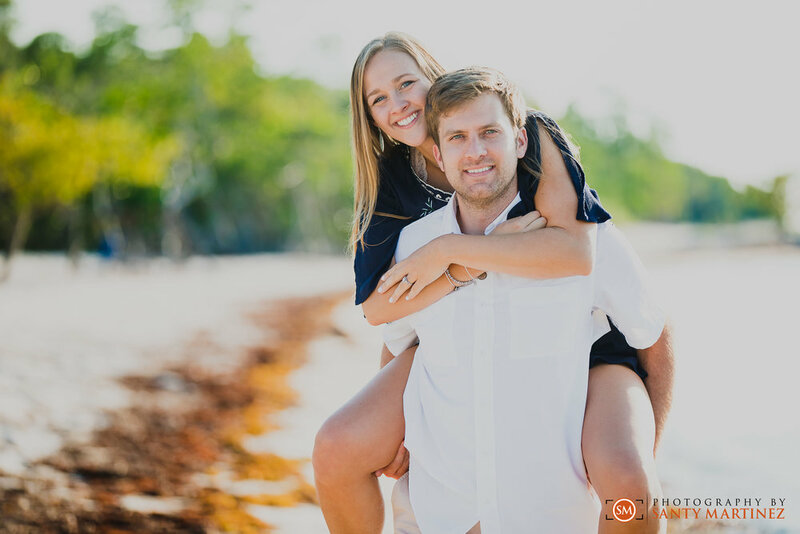 Please enjoy a few of our favorites from their session and keep your eye out as we blog about part two of their engagement session in Atlanta!